This is the very first Foam Brain business card, back when they were still developing their branding. Their large scale vinyl signage matched this aesthetic at the time as well. The brain in the background is from the original Foam Brain Productions logo by Jen Ash. 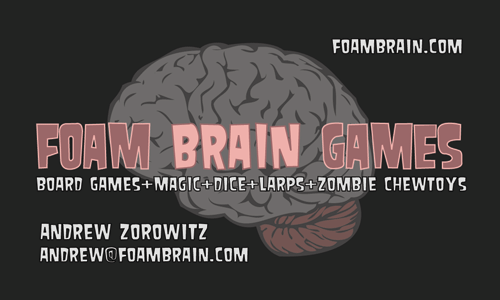 Published November 13, 2014 at 500 × 300 in Foam Brain Games Business Card, version 1.